Fact: One of the greatest advantages of dental implants in Sydney is that it is not easily distinguishable from your existing teeth. Therefore, others would not be able to know that you use dental implants unless you tell them. A dental professional will also make sure to match the colour and shade of the dental implants with your existing teeth. Due to this, dental implants become barely noticeable to anyone. Fact: Dental implants provide various benefits to its patients, and considering its longevity and durability, they are a good investment. In fact, affordable dental implants are cheaper than bridges, while the former has a longer life. Bridges will have to replaced more frequently than dental implants, and such replacement costs will add up to your expenses in the long run. With lesser maintenance, dental implants are cost-effective for its users. Fact: Not at all. Several people tend to believe that using dental implant is painful and uncomfortable, while the truth is the exact opposite. Dental implants procedure is usually simpler and relatively less painful. Even after placing dental implants, they work and feel like natural teeth without causing any discomfort or pain. Fact: Another common myth about dental implants is that they require more maintenance. The truth is, dental implants function just like your natural tooth, and only requires the same amount of care you give to your existing teeth. Regular brushing and flossing will let your dental implants work for you without any hassles. Fact: A dentist with a valid certification will be eligible to offer you dental implants, however not everyone has the necessary skills or undergone training to perform the dental implants procedure. 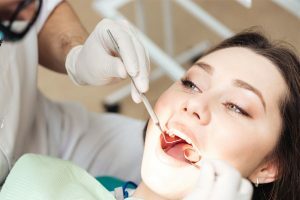 Therefore, it is important that you seek the assistance of a professional who has great experience in offering this procedure to their patients, and that they have been quite successful in it. These are some of the common myths about cheap dental implants. Now that these myths have been debunked, get in touch with a dental implants professional for more information about the procedure, and how they will be able to resolve your missing tooth problems. « What You Should Expect During a Dental Implant Procedure?